So this happened today. 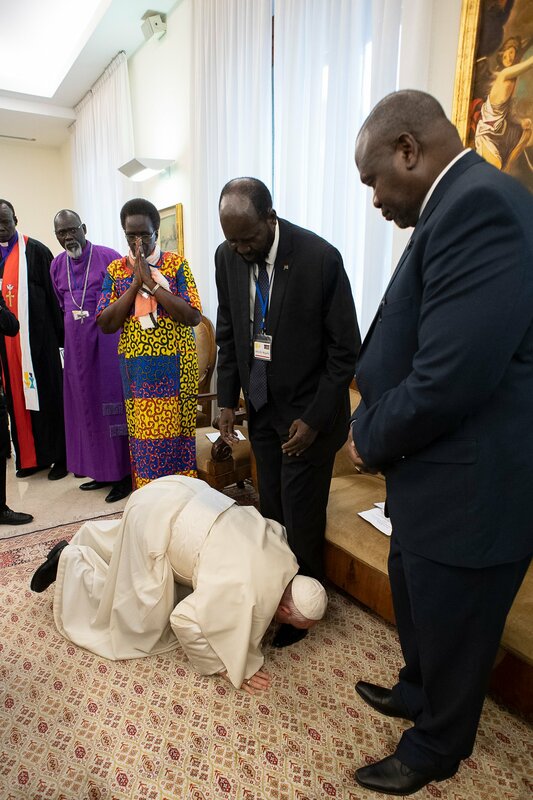 The Pope, while meeting with the President of South Sudan (Salva Kiir), kissed his feet while he was praying for peace in South Sudan. The war, between the South Sudanese government and its opposition, has claimed around 400,000 lives so far. The Pope with all his authority and power chose to kiss the feet of the President in an act of humility and service. The Pope prays for peace through an expression of the very approach required to discover peace: humility and submission.